Our prayer is that as we continue peeling away the layers of the New Mexico abortion cartel that our leaders will take heed of the information and act boldly on behalf of the babies. 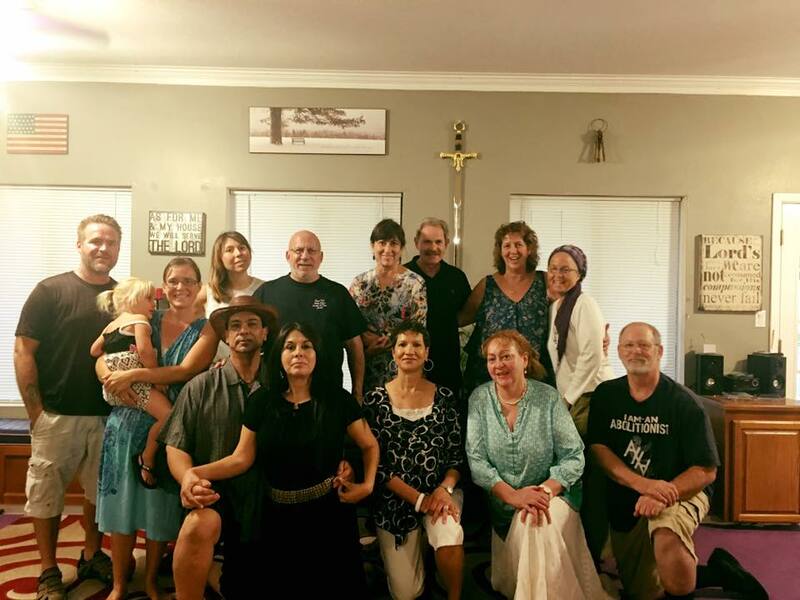 We continue to have opportunities to share with Bible study groups to educate and spread the truth about abortion in New Mexico. The Lord is moving here and we are humbled to be a part of all that He is doing. Thank you for standing with us, your prayers, support and encouragement are invaluable to us. May God receive all of the glory! This month in our #NewMexicoTrue Campaign reports, we looked at the Santa Theresa, New Mexico abortion clinic, Hill Top Reproductive Clinic. In part 3 we exposed Franz Theard a Texas abortionist who has set up his abortion mill 11 miles across the Texas border in Santa Teresa, NM. He is using his mill to evade Texas laws regarding waiting periods and minor access to abortion. 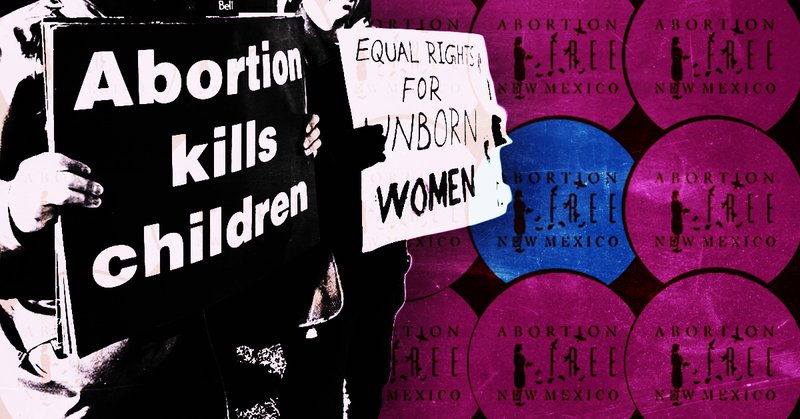 Theard is another example of abortion providers in New Mexico who ignore the best interests of minors who seek out an abortion. Minors are vulnerable and often the victims of sexual abuse, Franz Theard is enabling sexual predators when he purposefully takes advantage of New Mexico’s lack of common sense laws and circumvents the reasonable limitations of Texas. We also cited violations that Theard was found to have at his abortion mill that included doing pregnancy tests and RH blood tests without proper licensure and failing to follow the manufacturer’s instructions when using these tests. Theard is also a practicing OB/GYN in the state of Texas, where he delivers babies on the days he’s not aborting them. 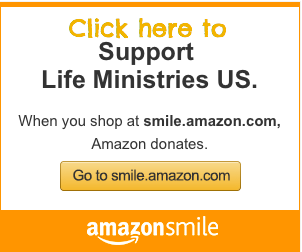 Our work with Priests for Life continued this month to bring national awareness to late term abortion. In part 4 we looked deeper at Southwestern Women’s Options (SWO), the nations largest late term abortion facility, and exposed just how arbitrary the standard is for determining which baby lives or dies. This call combines two earlier calls and adds new details, including that mothers so far advanced in their pregnancies should not be aborted in stand-alone clinics like SWO – although they are – and that the availability of third-trimester abortions depends on the “comfort” level of the abortionist. 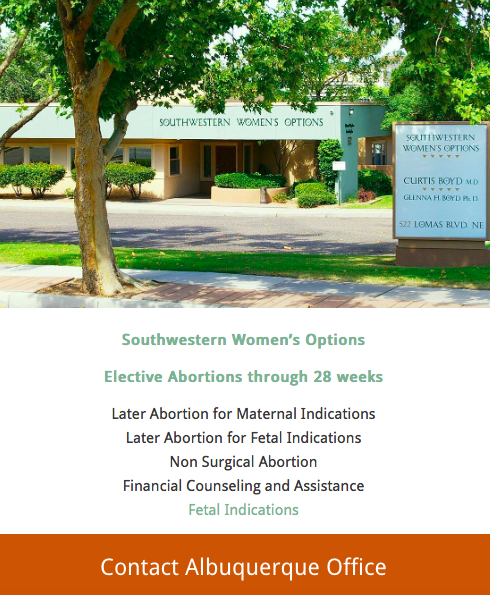 “The bottom line is that SWO is willing to terminate a disabled child in spite of their own admission that late- term abortions shouldn’t be done in an outpatient clinic because they pose significant risks to mothers,” said Tara Shaver, spokeswoman for Abortion Free New Mexico.“The ‘comfort’ zone of the abortionists at Southwestern Women’s Options, which appears to be based on an arbitrary eugenic standard, is ultimately allowing them to decide which babies should live or die. In this undercover recording we exposed how the late term abortion facility Southwestern Women’s Options arbitrarily differentiates between a baby and biohazard waste when discussing the disposal of the remains of the babies terminated at their facility. However, the option to cremate the remains only applies to disabled babies. When another woman, 25 weeks pregnant, inquires about what happens to her healthy baby after her abortion, she is told that the remains are considered biohazard waste and that the whole baby is incinerated. 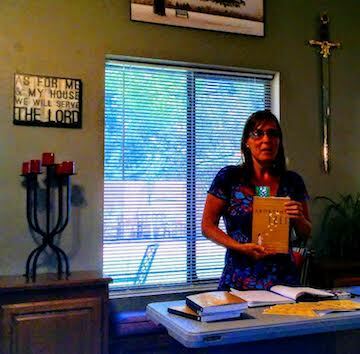 Abortion Free New Mexico Strategy session with Albuquerque Mayoral candidate Michelle Garcia Holmes. As mayor, Michelle has committed to work to end late term abortion in Albuquerque! 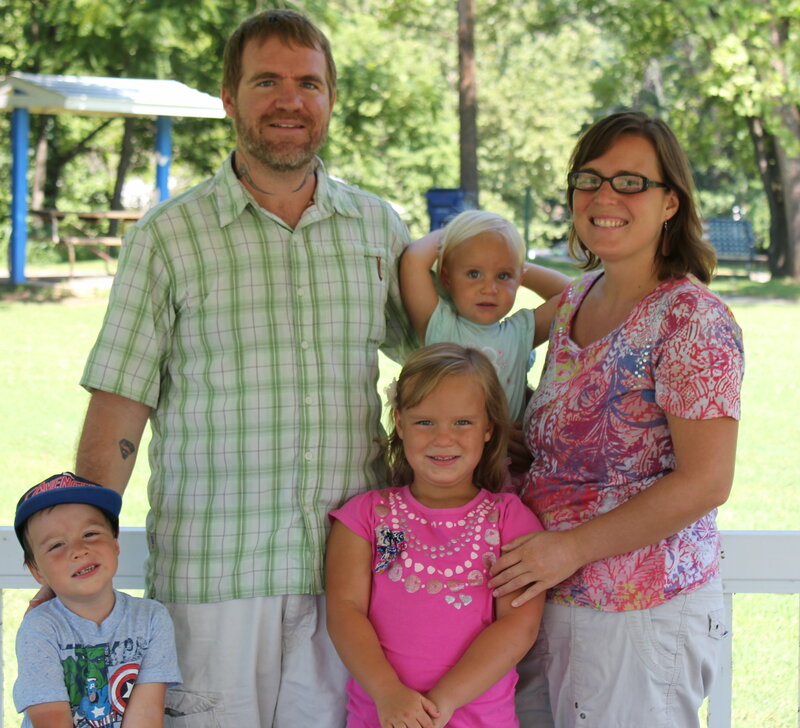 Please pray for Michelle Garcia Holmes and her campaign. Our #NewMexicoTrue Campaign is already having an impact! The radical leftist organization Media Matters published a hit piece on our efforts. 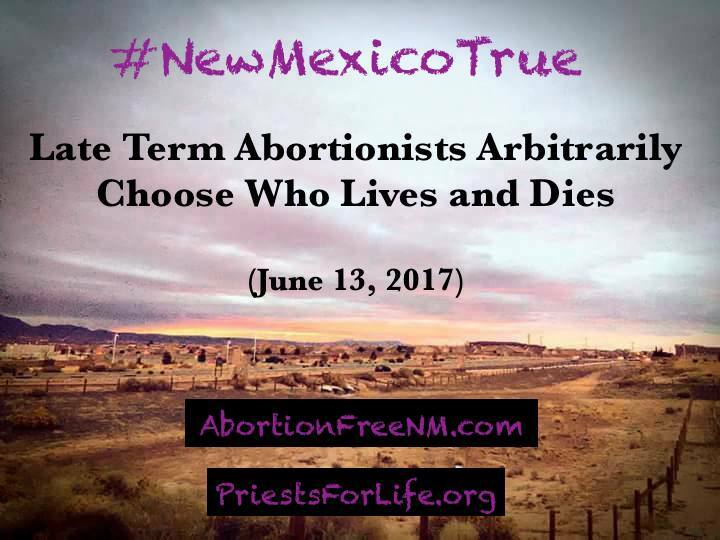 Albuquerque, NM- Abortion Free New Mexico and Priests for Life have compiled another video in their ongoing series to expose late term abortion in America. This latest undercover recording exposes how the late term abortion facility Southwestern Women’s Options arbitrarily differentiates between a baby and biohazard waste when discussing the disposal of the remains of the babies terminated at their facility. 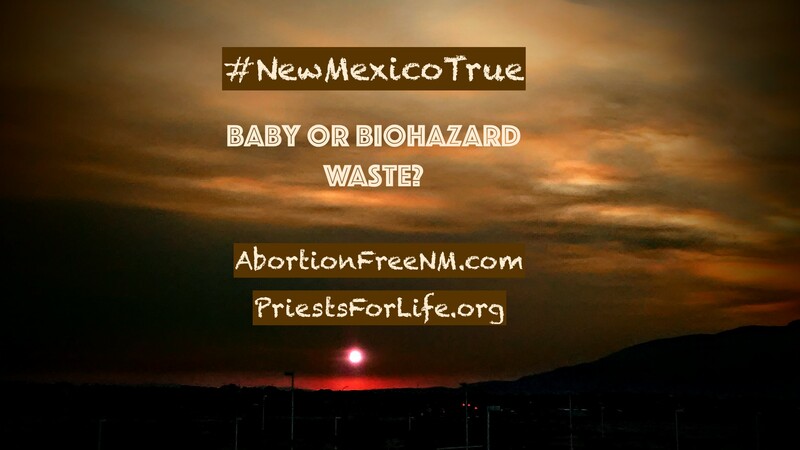 New Mexico is the land of unrestricted abortion, there are no limitations on how late abortions can be performed. In addition, there is no fixed standard of determining which babies live or die, there are no abortion clinic safety standards and now Southwestern Women’s Options late term abortion facility has been found making a bizarre distinction between babies who are healthy and those with a fetal anomaly. This latest recording begs the question as to what the result of an abortion is, a dead baby or biohazard waste? …and who decides? Cremation: the disposal of a dead person’s body by burning it to ashes. Incineration: the destruction of something, especially waste material, by burning. For more than 44 years in America, abortion profiteers and their supporters in politics and the media have insisted that abortion does not kill babies. This has resulted in over 60 million lives being terminated in American abortion businesses. But as the abortionists themselves at Southwestern Women’s Options admit, they are killing babies even in the latest stages of pregnancy.